“Welcome to the Playground” is a mix of nostalgia and the study of human behavior in the public space, as it applies to hoops and culture. The playground is a magical place. It may just be concrete, basketball hoops, a jungle gym, and maybe a sandbox, but it’s where we all lived out our dreams many times over as kids–whether as superheroes or superstar athletes. As we got older, it wasn’t just a place to play basketball. The action wasn’t just on the court, it was on the sidelines, thanks to the conversations, friends, fights, and more that inevitably happen when groups of humans get together. For Jordan Brand’s new campaign, agency Los York got Blake Griffin to wax philosophical about this sacred role. The spot deftly straddles the two factions of the sneaker and athletic apparel market–streetwear and sports. It emphasizes hanging out as much as hanging on the rim. Jordan Brand’s global director of advertising Desmond Marzette says the goal was to pull from the brand’s iconic heritage to inspire today’s generation. “In 1984, MJ participated in his first Nike photo shoot on a Chicago playground, and that shoot was the inspiration for the ‘Welcome to the Playground’ concept,” says Marzette. 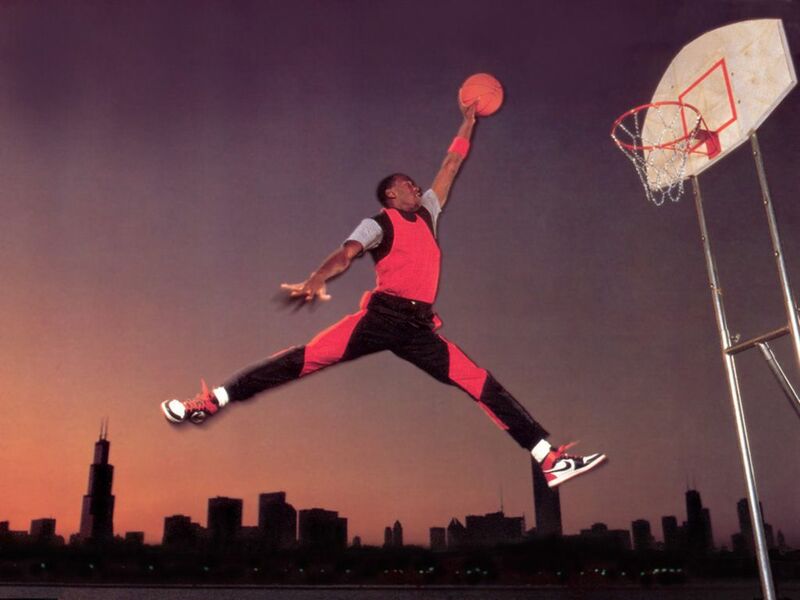 You might recognize that 1984 Jordan ad as the birth of the Jumpman logo. It’s a compelling swing at bridging that gap between streetwear and sports performance, a laid back, breezy vibe over the usual aspirational tone of major sports brands. By trying to appeal to both crowds in one ad, the brand risks not connecting with either. But if anyone can do it, it’s Jordan Brand–this week alone it’s made hoops headlines by outfitting the Charlotte Hornets with the only NBA jersey without a swoosh, then got streetwear fans abuzz by dropping a new Chicago-inspired sneaker design.